How is it that we come to influence other people’s ideas? How do we more effectively get others to take our advice? How do we sell more successfully? The overwhelming answer in the corporate world seems to be, “by getting people to see that we have the right answer.” But that answer is very often wrong. “Being right” turns out to be vastly overrated. Sometimes, admission of ignorance is actually a better strategy. Most of us think something along these lines: “They’ll take my advice (or buy from me, or be persuaded by me) if they think I’m credible. They’ll think I’m credible if I look smart, and if I have experience. Therefore I’ll tell them about myself and my track record at being smart.” Clients contribute to this subornation by asking us to do precisely that (not because they care about the answer, they just don’t know what else to ask and don’t want to take the risk of looking foolish themselves). But credibility isn’t the only element driving trust. And experience and smarts aren’t the only ways to get credibility. Think of the arrogance implicit in saying, “let me tell you why I’m the best” before knowing the customer’s situation. Being willing to acknowledge obvious ignorance creates rather than destroys credibility. The point, of course, is not to adopt professions of ignorance as a tactic. Nor is it to pursue ignorance as policy. It’s to tell the truth. Your credibility is not just a function of expertise: it’s a result of a complex set of calculations about whether someone believes you when you say something. 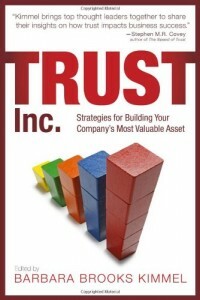 Even if people believe you—credibility—that isn’t enough to get you trusted. They must also trust your motives, your understanding of their situation, and your ability to empathize—as they see it. True credibility comes from letting people see you as you are—not as you would wish they would see you. Transparency trumps expertise. The more you insist on how much you know, the less we believe you: “the lady doth protest too much.” The more willing you are to honestly admit your limitations, the more we believe you. It’s a paradox thing. No one expects an advisor or salesperson to be perfect—we just want to know where their biases or blind spots lie. That way we can make up our own minds about how much to trust them. Letting our clients make that decision is, itself, a driver of trust.